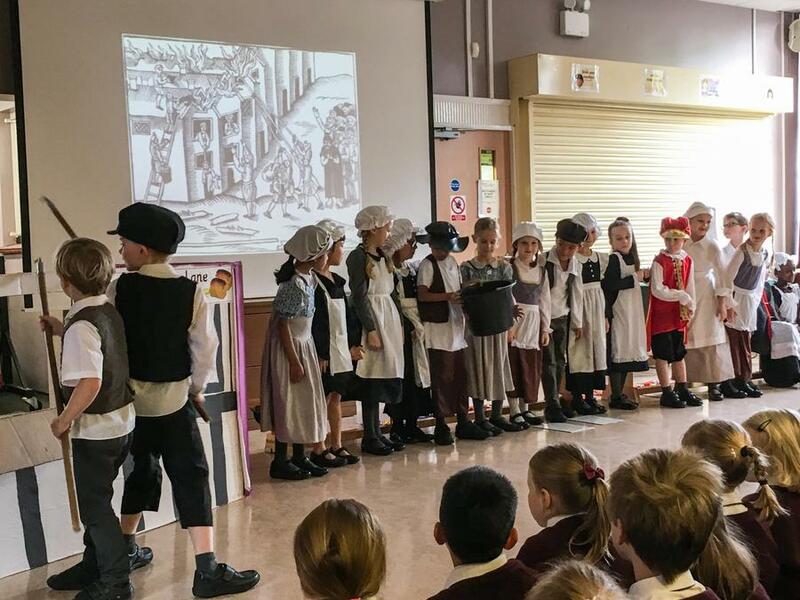 Today Bumblebee class presented an assembly on the Great Fire of London. They were great at acting, as they put lots of expression in and knew their words. When they spoke, the children's voices were loud and everyone could hear them clearly. The poems about fireworks were performed beautifully. They also sang London's Burning beautifully and they weren't out of tune or out of time. The costumes they wore were amazing as it really illustrated who they were acting as. Finally, Bumblebee class told everyone how to stay safe fantastically. We thought they deserved another round of applause! Please visit their class page to find photographs and videos of the great assembly.